When you stop at a restaurant and get food to go, there’s generally a bag involved in the transaction. Few businesses hand over their fare without first packing it in a bag for easy transport. But here’s the thing: While bags serve an operational purpose for restaurants, they can also be powerful marketing tools. 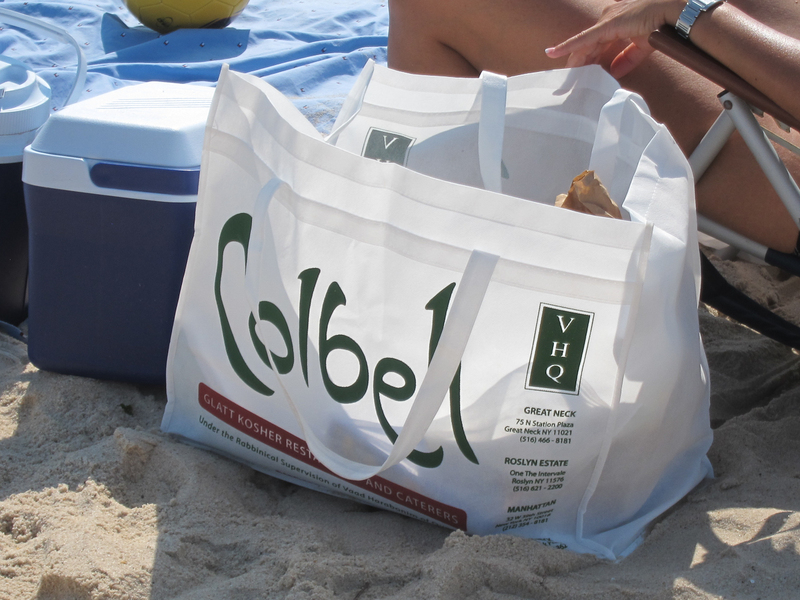 If restaurants, eateries, bistros and cafés are going to give customers a bag anyway, why not make it a promotional bag? It’s a small change that can have a big impact. Customers and countless others see the logo and contact info, thus engraining the establishment in their minds. Take Colbeh, for example. This New York restaurant that serves up gourmet Mediterranean Glatt Kosher cuisine gives its customers promotional tote bags. It doesn’t use unbranded, single-use bags that will end up in the trash—it uses sturdy promotional tote bags that get the food to its destination and will likely get used again. Promotional bags are smart giveaways for prepared food businesses. They’re functional, and because of their large imprint area, they’re excellent advertising vehicles. Colbeh shows exactly how it’s done. The restaurant’s logo takes up almost the full imprint area, ensuring viewers can see it and recognize it even from a distance. Colbeh also lists all of its locations, complete with their addresses and phone numbers. If someone gets hungry for, say, Colbeh’s famous Mediterranean kebobs, they know where to go or call. That’s the beauty of promotional tote bags for restaurants—they have an operational function, but they’re also highly visible reminders of the business. Promo know-how tip: Think about all the items you’re going to buy anyway—pens, bags, drinkware, etc.—and expand them beyond a purely operational role. If you don’t add your logo, you’re missing out on big exposure.